The truth is that the other dimensions are as close as your breath and allowing. This knowledge scares most humans. It does not fit with the learned programs. It is too strange. The idea that the stars communicate with every cell of your physical body at all times can be a mental stretch for some. The concept that someone can hear this communication from the stars and act upon the connection is a real mental stretch. The universe is a complex matrix. 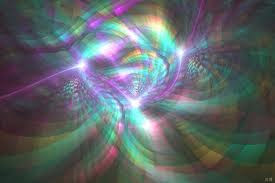 It is a weaving of energy strands of all possibilities. It is waves and it is particles depending upon the focus and the awareness of the focuser. Remember you are the creators of your hologame. Reality, as most humans believe and sense it to be, is limited to what they can see, feel and touch. However there is a much larger universe that is available in which parallel realities exist and portals of energy can be activated or closed or shielded. Traveling dimensions is merely a shifting of one's consciousness, frequency, or vibration. We invite you to continue to listen to spirit and the stars. We honor those who are willing to expand their sense of who they are and to recognize and allow their multidimensional aspects to be acknowledged. Portals, matrices, energy grids, power places, star travel, parallel lives and realities, dimensional shifts - these are all juicy places to focus on and invite into your daily life. Â©2006 Peggy Black All Right Reserved. You may share this message and distribute as long as nothing is changed, you credit the author and include this copyright notice and web address: www.morningmessages.com subscribe to the FREE 88 messages.